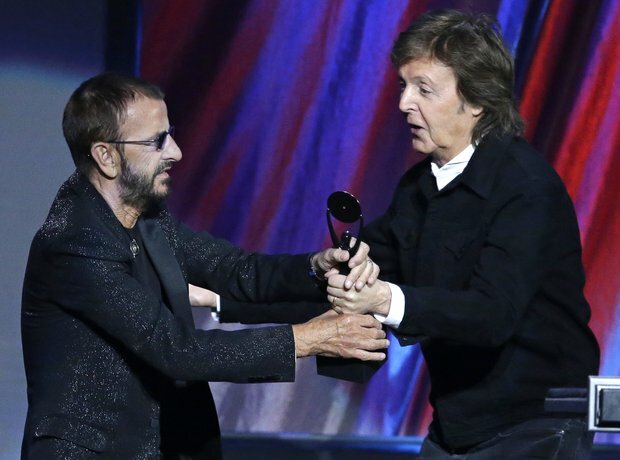 Ringo Starr was inducted into the Rock and Roll Hall of Fame at the weekend (April 18). The 74-year-old was the last of the Fab Four to be inducted as a solo artist, where he was hailed as "one of the greatest and most creative drummers". Fellow Beatle Paul McCartney inducted him into the Hall.